New reports suggest CPU maker Via has a new version of its Isaiah X86 CPU architecture inbound. Its last x86 offering debuted back in 2008, and it looks like we could be seeing the latest iteration appear on September 1st of this year. While there has been no official word from Via on the existence of the new Isaiah II chip, it has recently been spotted on SiSoftware's online rankings. It is listed as a 64-bit, quad-core clocked at 2GHz with 2MB of L2 cache and AVX2 support. German site 3DCenter has posted some performance comparisons with other similar low-power options like a a 25W desktop Kabini APU and a mobile Bay Trail chip. Results seem to show a very competitive option in Isaiah II, albeit not entirely accurate as not enough information is known about the upcoming chip. Most reports suggest that if the numbers are indeed what we'll see from Isaiah II, it should easily stand up to current low-power x86 options. 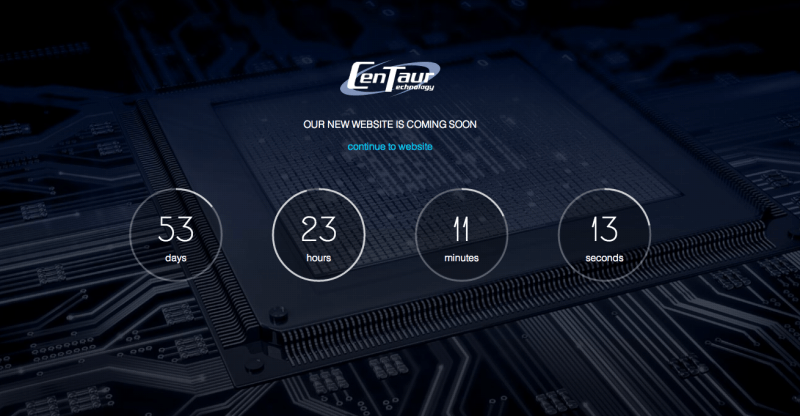 Via's CPU division, known as Centaur, has been recently teasing an upcoming site update which will also apparently land on September 1st. Reports suggest that an updated version of Via's current VX11H chipset will be making an appearance sometime soon as well, meaning we will likely see all three get unveiled in just under two months time.